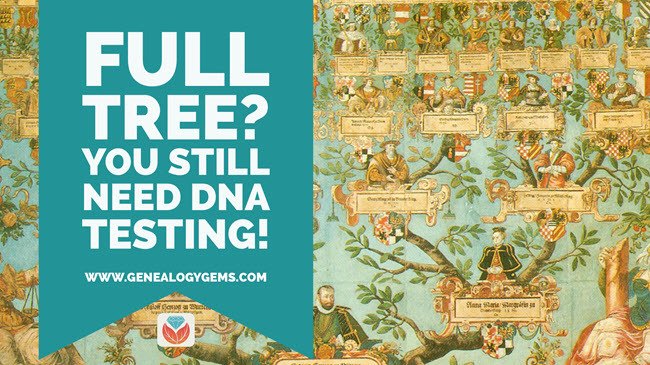 “I don’t need DNA testing for family history: my pedigree is full!” I still hear this occasionally. But here’s why everyone doing their family history should take at least one DNA test. Teenagers (including my own) are always talking about the things that “everyone else has,” a phenomenon that Malcolm Gladwell describes as the “tipping point.” He says that the tipping point is “the moment of critical mass, the threshold, the boiling point” for change in human behavior. For my kids, it’s everything from the point at which a party becomes fun to doing everything humanly possible to procure a fidget-spinner (if you don’t know what that is, ask the nearest 11-year-old). In DNA testing for family history in the United States, that tipping point is now. We have reached the point where most genealogists at least have the passing notion that genetics can be useful in genealogy. Most genealogists (I would guess 85%) who attend the lectures I give have already had at least one DNA test completed. Let’s stop for just one minute and recognize how incredible that is! Not too long ago I was still trying to convince people that this was a good idea and that you didn’t have to dig up your ancestors to do it. But now we have scores of genealogists who have not only tested themselves, but have convinced half their family to test as well! “I don’t need DNA testing for family history.” Really? To those with the blessing of ancestors who kept better records than mine, I am offering four reasons why you should RSVP anyway to your invitation to DNA test. 1. To create and preserve a unique record. First and foremost, your DNA is a record. Just as you have obtained birth certificates and marriage licenses for your ancestors, your DNA is a unique record. It does represent you and your family in a way that no other record can. It is a document of your genetic history and should be preserved. Further, while you may doubt the ability of your DNA to shed light on your current genealogy, don’t underestimate the contribution it might make in the future. 2. Because you have second cousins. And third cousins, and fourth cousins, etc. Having your DNA tested means you can see a biological connection between you and other relatives that have had tested. 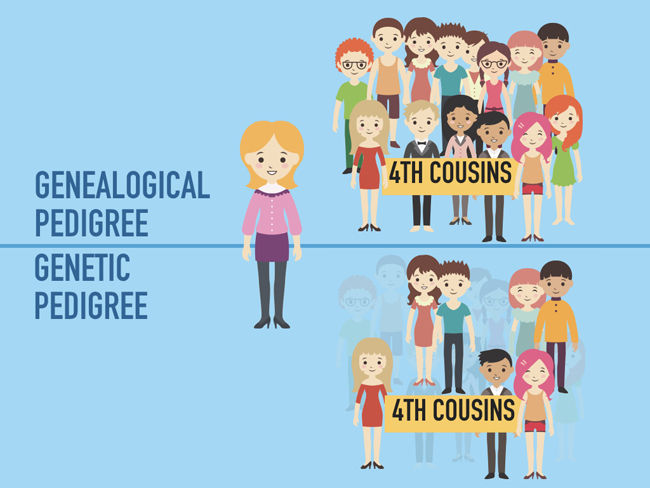 For many, the idea of meeting or forming relationships with distant cousins is not appealing. But even if you have no intention of attending DNA family reunions or even in corresponding with these relatives, there is something reassuring about seeing them there on your match list. There is a certain thrill that comes with recognizing the connection between you and someone else. A connection that may not add any new names to your tree, but it helps you feel a deeper connection to your ancestor, and a greater appreciation for your biology. 3. To verify what’s on your tree. Which brings me to the next point. Seeing these cousins on your list can actually help verify the genealogy you have already collected and documented. It helps to reassure you that you have made the right steps along the way, and may help you gain additional resources about your relative through their descendants that you find on your match list. 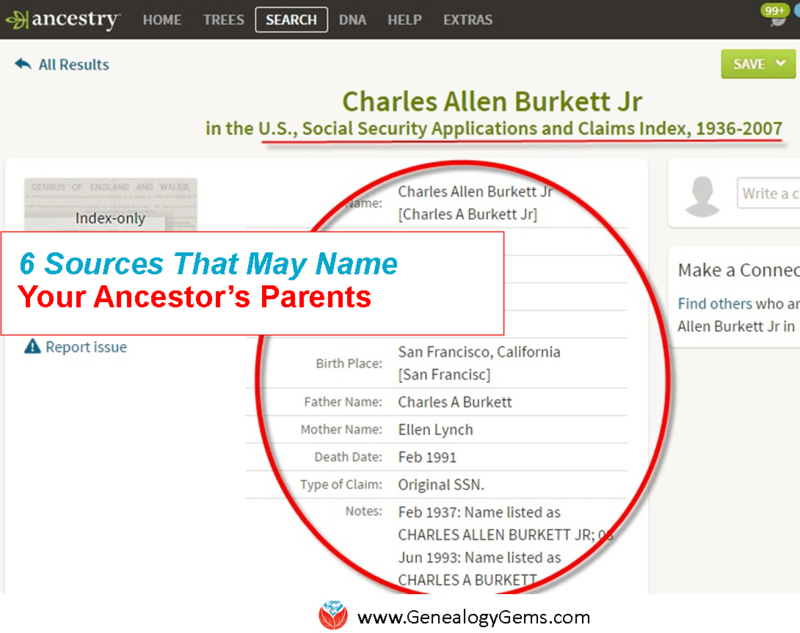 Resources that can help turn that ancestor from a name on a chart to a story and a life worth preserving. Verifying what’s on your tree brings with it a certain amount of uncertainty, it’s true. 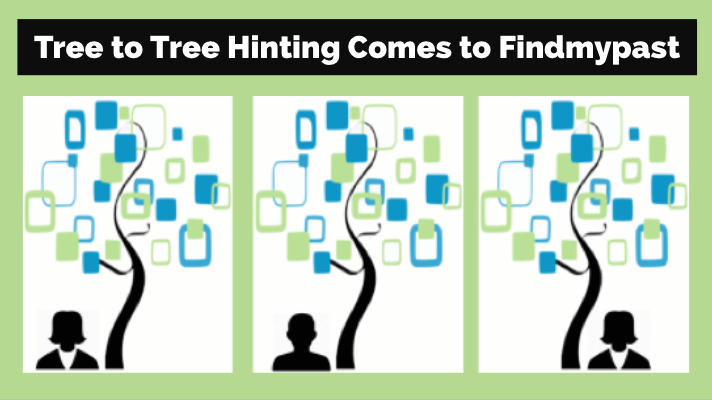 In fact, in the process of verifying your tree, you may discover new genetic truths about it. You may find that some who you thought biologically related actually aren’t, and you may discover new biological relatives you didn’t know about. Not everyone is prepared for this, especially if they’re pretty sure they know everything about their ancestry. But increasingly, I’m finding, people do want to know about a second cousin who was adopted out of the family or their grandpa’s secret half-sibling–and these connections may never emerge unless you participate in DNA testing for family history. Remember, your genealogical pedigree is not the same as your genetic pedigree! Click here to read about different things you may learn from each one. 4. To help someone else build their tree. The last reason to go ahead and have your DNA tested is to help others. If you have been lucky enough to fill in most of the blanks on your tree, you can help others do the same by simply having your DNA tested. Your DNA provides a link to your tree that might be just what someone needs to overcome a brick wall in their family history. 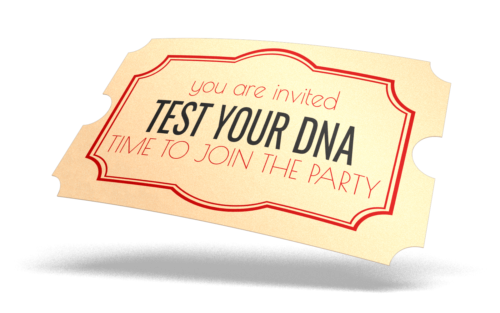 So, if you have been hanging out on the outskirts of DNA testing because you feel like your tree is full enough without it, remember to RSVP to your invitation to be DNA tested, and join the party! 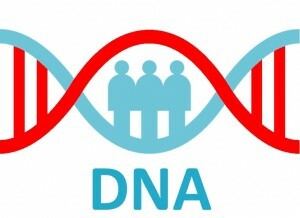 Click here to get started with DNA testing for family history. 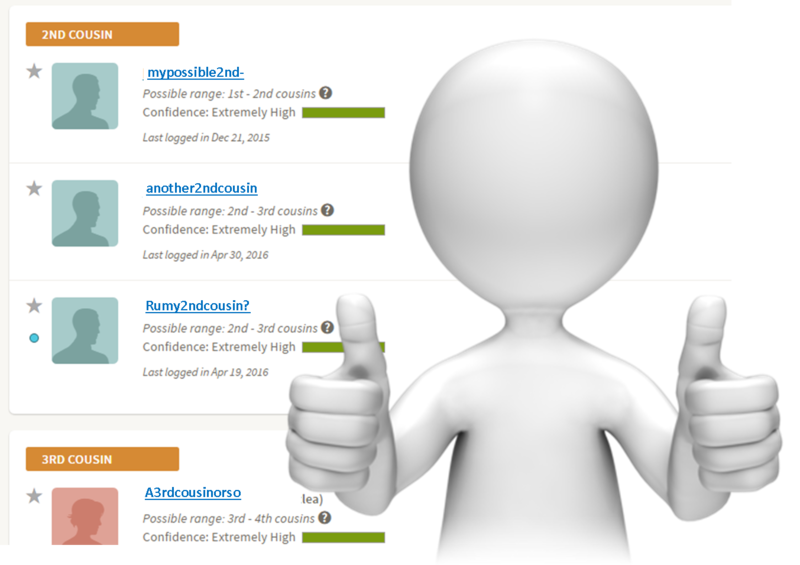 You’ll learn who to test, why to test, what tests you can take and where to purchase them. You can watch a short video about getting started and see additional resources that will help you get the most out of your testing experience all along the way. So be sure to get your hands on those matching segment details! I was able to help a cousin with his grandmother’s line. He didn’t even have her maiden name, but knew where she died. Because of shared matches I was pretty sure which was his. I even had his grandmother’s death record! Meeting your cousins is so rewarding on many levels. One cousin shared photos of our family, including one of my great grandmother with two of her daughters, standing at the train station in Cleveland, Ohio, waiting for the train that would take them to Los Angeles, California, where my grandmother, another daughter, lived. How cool is that? Of course I shared photos with her, and learned something about them, as well. And, last, but not least…..I now have a cousin in Ireland, who is willing to look up some records in the Presbyterian Church archives in Belfast. I can speak from experience…………that little bit about verifying what’s in your tree? Well DNA tests, both Autosomal and YDNA, have confirmed a number of my family lines and…………………….disproved one, a very important and revered one. By YDNA testing 5 male descendants from 3 different sons of my GG Grandfather a non paternal event was revealed to have occurred at that man or the man reported to be his father. This line had been published and referred to by many members of a huge family going all the way back to Plymouth Colony. The tests proved that GG Grandfather was not related to that family and at the same time confirmed that the man thought to be his grandfather was indeed correctly listed in the line of descent. So now our efforts are directed at determining if the non paternal event occurred at my GG Grandfather or at the man reported to be his father. And we have been taken on an entirely different voyage to the Ulster Plantations and South Western Scotland instead of France, Flanders and England. I had my DNA tested a couple of months ago and to my surprise found that my DNA was 50 percent Irish. Having said that we are related on my Fathers side to the famous Irish poet W.B.Yeats.I would like to firm up that connection but am not sure how to do it. Thank you so much, one and all, for your comments! I love hearing all of these positive experiences with genetic genealogy! I just had my DNA done a couple of weeks ago. I was quite surprised to learn that I’m 10.3% Italian, also 1.3% Middle Eastern…neither of which i never heard anything about in my family research. The English, Irish, Scottish and Welsh were no surprise, but I was wondering what happened to my grandmother’s half German background. Also, I had heard both of my grandfathers had some Cherokee in their ancestry, but that didn’t show up either. I was wondering if a person inherits DNA from all of their grandparents or just some of theirs. I’m really interested in learning more on this subject! I too am interested in learning more about how DNA does not show a Cherokee ancestry connection. I wonder what all known ethnicity regions are and how many.